A legal battle to overturn a planning inspector's decision to approve proposals for a test drilling well in Rotherham has been pushed back to January. Rothbiz reported last month that a community group had been granted a hearing date for a judicial review into the planning inquiry held earlier this year which favoured INEOS and its proposed development at Harthill. The hearing was set to take place on November 13 at the High Court in London as it has been categorised a "Significant Planning Court Claim." The hearing for the application has now been scheduled to be heard in Leeds Court on January 25 2019. The case relates to the oil and gas exploration and production business submitting an updated travel plan, leaving Rotherham Council in a difficult position just weeks before a public inquiry. The inquiry took place in June and the Harthill Against Fracking (HAF) group say that because of the late evidence and their outstanding request for an adjournment, which was not decided upon until the first day of the hearing, they did not know the full case they had to meet until the inquiry had started. Consequently, they were unable to adduce evidence or make submissions, informed by an expert, in relation to opposing INEOS' case. The group has been given permission for a statutory review under section 288 of the Town and Country Planning Act 1990 of the decision of the Secretary of State, given by his planning inspector. HAF is asking the court to consider whether, in refusing the request to adjourn the planning inquiry, the inspector acted in breach of the rules of natural justice. 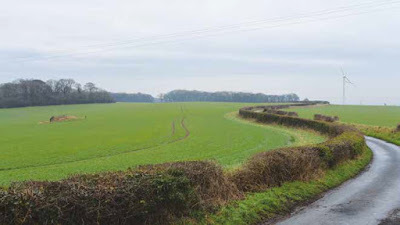 Having been given the "hurry-up" by Government, INEOS appealed to the Planning Inspectorate over the non-determination of the application for a drilling rig on Greenbelt land between the villages of Harthill and Thorpe Salvin. It said it had encountered "unreasonable delays" in dealing with Rotherham Council. The company is hoping to carry out tests on the suitability of the area for hydraulic fracturing, known as fracking.